Consultant in Trauma and Orthopaedic Surgery. Specialist in Shoulder, Elbow, Wrist and Hand Surgery. 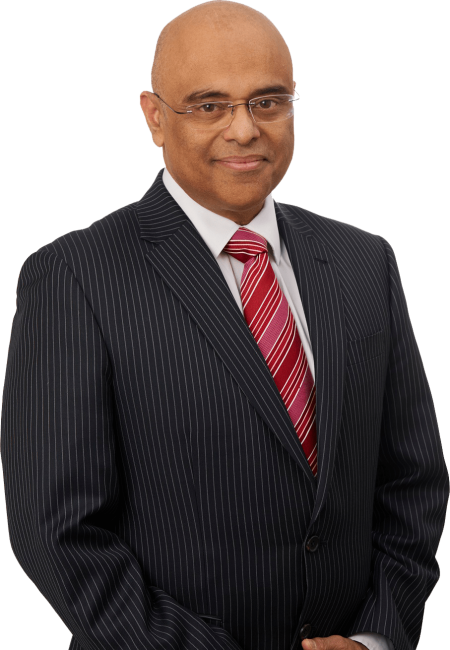 Mr. Rajeev Sharma, is a Consultant Orthopaedic Surgeon providing services for London and Hertfordshire. He is based at ‘The London Clinic’ in Central London, Harley Street. In Hertfordshire (St Albans, Harpenden, Welwyn Garden City, Hertford, Ware, Stevenage, London Colney etc) he is based at ‘One Hatfield Hospital’. He is a senior Examiner for FRCS Orthopaedics for the combined Royal Colleges of Surgeons in UK and Ireland, and is a Trainer for all the Orthopaedic trainees associated with North London Deanery. He has been extensively trained for upper limb surgery in the United States and in the United Kingdom and currently provides state of art Arthroscopic Shoulder surgery, Elbow surgery, Wrist and Hand surgery . All common sporting injuries of the upper limbs like shoulder dislocations, Elbow dislocations and fractures , Wrist and Hand injuries are treated. To assist him he has qualified physiotherapists and hand therapists who work with him to provide an optimal result with all the procedures performed by him. My training has been General Orthopaedic Surgery with a special emphasis on the reconstruction of the upper limb (Shoulder, Elbow, Wrist and Hand) . This puts me in a unique position to skillfully treat and manage Sports injuries of the Joints arthroscopically in the various population groups. I have vast and varied experience in the management of Nerve Injuries and Poly-Trauma. I have also been experienced in the treatment of whiplash injuries in a Specialist back clinic in my training. Medico legally I am in a position to provide expert opinion and reports on patients with Orthopaedic problems. I have attended a course on Medico legal reporting in 2004. Mr Sharma regularly attends conferences and is involved with the London Deanery Training Program. He is a trainer for Orthopaedics. He is regularly involved with current concepts and research as mentioned above. Examining and reporting on medico legal cases since 2002. Specialist reporting on whiplash, nerve injury, Upper Limb joint and nerve problems, Shoulder, Elbow and hand as well as general orthopaedic conditions, except spine. Consultant in Trauma and Orthopaedic Surgery Subspecialty: Upper Limb (Shoulder, Elbow, Wrist and Hand) and Sports Injuries, at East and North Hertfordshire NHS Trust, QEII Hospital.